Did you ever notice how you can easily catch a cold during the winter season? How about when you get slightly feverish when fall starts? And even during the spring season, you are very susceptible to allergies and other minor viruses. Scientifically speaking, fever, cough, and a cold are our body’s way of coping up with the change of the temperature. The temperature changes invite the spread of different viruses that are dominant in each season. This coming spring, we should also prepare our elderly loved ones for a warmer weather. Their bodies may not be able to adapt easily to temperature changes making them get sick easily or it could trigger some symptoms of age-related diseases. Hence, at Optimum Care Home Care Services, the leading non-medical home care in VA, we are trying to give our senior patients the care they need this spring time. What are the seasonal allergies that we often encounter? As what we have always noticed in our patients at Optimum Care Home Care Services is that they often catch colds, cough, or fever at the turn of each season. Some even have congested nose and itchy eyes caused by the dry weather and cold air. During spring, allergies are very rampant as this is the time when plants and flowers start to bloom again. The pollens and other dust in the environment can contribute to the worsening of their cough and colds or allergies. Although a simple cough and cold are not really that life threatening but for senior patients who have lower resistance against viruses, this could become worse. Hence, as caregivers, we suggest that you should also keep close attention to any changes in your patient health so that we can give the proper treatment to it right away. How can we avoid getting sick during spring season? There is no better way to prepare for spring season than to keep our body healthy. Always see to it that our patients will observe proper hygiene like washing their hands thoroughly and regularly take a bath. Washing and bathing is one way of keeping the viruses from our body. Moreover, a good exercise routine and a healthy diet are effective too. For seniors, it does not have to be a very rigorous exercise that would require too much physical work. It is enough that they can move around and get active. This can be a 30-minute walk or by doing their favorite hobby. In addition, taking Vitamin C and Zinc is also a good way of fighting off diseases and viruses. They help keep our immune system healthy and efficient. Flu shots are also needed especially for senior patients. In this manner, the shots will help reinforce their immune system and make them more resistant to viruses. 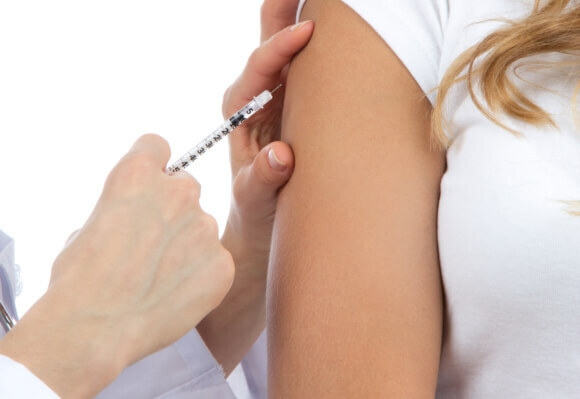 There are flu shots that are specially created for them with a higher dosage of active ingredients to cater to their needs. Indeed, as we are all excited for the spring season to come, we must also prepare our body to the change in temperature. This applies both to the young and old population. Let us enjoy spring in a healthy way. For more tips about fighting allergies and common colds for senior patients, consult our experts at Optimum Care Home Care Services in Optiz Boulevard. For details, you can visit our website at www.optimumcarehomecare.com.